An ideal commercial structure is clean and welcoming to visitors, evoking a feeling of complete professionalism. Scuffed, damaged, or dirty walls in highly frequented areas such as entrances could give potential customers or visitors a negative first impression of your establishment. Let us help you enhance your commercial building with top quality painting services from Ryans Home Improvement. We are well adept to handle all types of commercial painting projects – both interior and exterior, from a single room to an entire structure. When selecting the right paint for your commercial project, it’s important to consider many factors. Color may be used to convey a particular style and tone of your business and could have an impact on the daily workings of your office space. Especially for more industrial purposes, you want to ensure the paint and coating selected can stand up to the requirements of the activities within the structure. As well, you want to ensure that the coating provides a safe and clean environment for those both inside and outside of the structure. Price will also be an important indicator in the selection of paint for commercial jobs. We encourage our clients to use eco-friendly, non-toxic painting materials such as zero VOC and low VOC paint to minimize both potential environmental impacts as well as to ensure there are no potentially harmful odors or fumes within the building itself. A commercial painting project requires the experience and skill of a top quality craftsman. Especially for larger jobs, you need to ensure that the commercial painting contractor has all the required tools at their disposal – including the paint, equipment and skills to reach even the most complicated spaces. We are able to work with both indoor and outdoor commercial painting jobs to not only give your building a fresh face, but also further protect it from the outdoor elements with waterproofing materials. Hospitality: We specialize in the commercial painting of restaurants, hotels/motels, event halls, conference centers, etc. Retail spaces: This includes stand-alone structures as well as large commercial centers such as shopping malls. Medical facilities: Selecting the ideal color and paint type for a medical facility is an important aspect of enhanced patient care, providing superior sanitation. Gyms and fitness centers: Make your fitness center a place people want to be. Our services include wall and ceiling painting as well as special floor coatings. Industrial spaces: Industrial painting services must be aligned with the daily activities of the facility and thus we will ensure that the paint chosen and application are able to stand up to even the toughest jobs. · Education centers: We offer commercial painting services that are able to withstand frequent use and high traffic. With all commercial painting jobs, we understand it’s vital to disrupt the daily schedule as little as possible. We are flexible enough to work around specific opening hours and are happy to customize the project exactly to your needs. Please don’t hesitate to contact us today for more information. When the time comes to tear down an unused or derelict commercial building, you want to ensure that a number of measures are taken into account – most importantly safety of all those involved. Often, commercial structures are placed in the heart of more dense areas and thus demolition and removal is an intricate process that much also ensure no damage to the surrounding structures. Precision removal is thus a vital part of the commercial demolition process. The days of swinging wrecking balls are far past and with the use of machines such as excavators, commercial demolition has never been safer or cleaner. This also ensures more controlled falling debris and less congestion in the construction area and increases safety for all those involved on the worksite. The construction industry accounts for a large part of resource use – both in the materials required as well as transportation and energy use during the actual building process itself. When it comes time to remove or demolish a particular structure, it’s important to try to minimize the resource footprint to not only reduce harmful environmental impacts, but also to cut economic costs by reusing still valuable materials, saving fuel and reducing the amount of waste sent to landfills. Repurposing of building materials: This entails carefully removing the segments of the building piece-by-piece and salvaging the materials that can be recycled, upcycled and reused or sold for another construction project. In the best-case scenario, these materials can be reused on site for the new construction and thus transportation costs are eliminated. Examples of reused materials can include light fixtures, flooring, bricks, HVAC units, pipers, doors, wood, shingles, tiles, etc. · Crushing and recycling concrete: Most commercial buildings utilize a significant amount of concrete for the structure itself. Crushing the concrete and recycling it for other uses such as roads, structural layers, site fill, etc., is an ideal way to reuse the material. Ideally, you want to crush and recycle the concrete on site to save costs and transportation. Do you have a commercial demolition job you think we can help with? Please don’t hesitate to contact us today for more information. Cement comprises a significant portion of commercial structures. In its many forms, cement is used throughout the commercial building – in the walls, floors, exterior walkways, interior hallways, pavements and sometimes even in the detailed architectural design itself. When designing a commercial structure, concrete (cement is an ingredient used to make concrete) is often chosen for its quick and efficient construction as well as its versatility and durability. Commercial structures such as warehouses, manufacturing facilities, shopping malls, education centers, supermarkets, stadiums, etc. will require a great deal of building material and thus opting for cost-effective concrete that also supports the building’s heavy usage is an ideal choice. Concrete can come in many varieties and include advanced features such as superior thermal efficiency, ultra-strength concrete or fast-setting concrete. Concrete buildings are also highly resistant to fire and can stand up to extreme weather such as winds, heavy rain or snow and earthquakes. As well, concrete buildings are increasingly being recognized as a sustainable building option. With potential for superior thermal efficiency as well as the option to reuse and recycle concrete it offers a number of features that can reduce the high environmental impact of the construction industry. There are many ways to improve the process of construction with the use of concrete. Two of the most common methods of saving time during building of the structure are tilt-up construction and pre-cast concrete panels. Tilt-up construction is not a new concept – rather it was invented in the early 1940s. Essentially, with this method, a building’s walls are poured on site into large concrete slaps also referred to as “tilt-up panels” or “tilt wall panels”. These are then simply raised into the position on the building to form the exterior structure. This method is praised as being quicker and less expensive than a traditional masonry construction. Another option is the precast or prefabricated concrete panel. This is a common construction process especially in the northeast and areas with more severe winter weather. The main difference between precast and tilt-up construction is that in the precast system, the concrete walls are made at a manufacturing facility and then brought to the actual building site. The ability to utilize a protected and controlled setting ensures consistent results that are not dependent on outdoor weather for production. This method is often more costly than the tilt-up and ideally the manufacturing facility should be located close to the jobsite itself. Please don’t hesitate to contact us today for more information regarding your commercial cement projects or if you would like a more detailed breakdown of our commercial cement services. Is your office space outdated? Time for a remodel? Creating a clean, dynamic and stylish commercial office space that is welcoming to visitors and promotes your business is a great way to build the initial confidence with clients at first impression and help to create your own unique corporate identity. 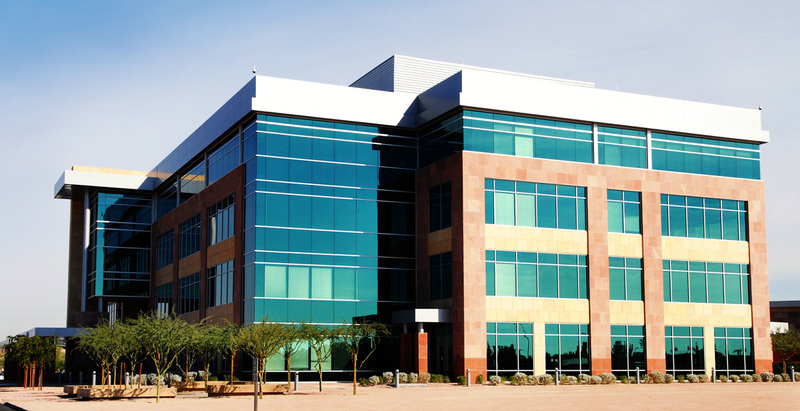 A commercial office remodeling project essentially refers to the process of an existing tenant renovating their space which can include (but is not limited to): exterior renovations, installing or relocating interior walls, painting, flooring, countertops and cabinetry, shelving, doors, windows, bathrooms, kitchens, meeting halls and any other custom requirement specific to each client. When considering a commercial office remodel, first and foremost your office space must be functional. Those working within the space will spend a significant amount of their time within the structure and thus it must work for their purposes. A remodel should be built to last, paying close attention to the areas of high traffic, the materials used, the layout of the workspace, maximizing space and the number of individuals that will regularly utilize the space itself. As well, a remodel should be fresh, well-designed and comfortable. Additionally, office remodeling can also include retail complexes, medical facilities, educational facilities, and other professional services. We understand that a remodel means a disruption to the normal workflow and thus has the potential to reduce productivity. We seek to minimize this as much as possible and aim to move quickly and efficiently throughout all steps of the process. With extensive experience in the remodeling of commercial office spaces, we have the expertise to get the job done right, on time and within your budget. Our goal is to provide you with a detailed and comprehensive estimate as well as accurate schedule for the duration of the entire project. We are able to customize based on your specific needs and preferences and 100% customer satisfaction is our guarantee. Not sure if your project qualifies as an office remodel? Please don’t hesitate to contact us today for more information. Our extensive professional experience is well adept to handle a variety of construction and remodeling projects with ease. With such high population density in the NY and NJ metropolitan area, there are ample opportunities for new businesses to reach more people everyday. It’s no surprise that when opening up a new retail shop, café, office space or the like, you want to make it as attractive as possible to draw in potential future clients. Perhaps you’ve gotten a great deal on an abandoned or older office space and want to turn it into the next best restaurant in town? We’re here to help. With extensive experience in commercial build outs, Ryans Home Improvement has the knowledge and skills required to get your project done right and on time. WHAT IS A COMMERCIAL BUILD OUT? In general, a commercial built out – also sometimes referred to as a “tenant build out” – refers to a situation in which a new tenant establishes occupancy in a commercial space that was either previously occupied by another commercial entity or was unoccupied entirely. This may entail both interior and exterior renovations such as relocating or installing interior walls, flooring, doors, windows, shelving, kitchen space, bathrooms, painting or some other improvements to cater the each client’s explicit needs. Commercial build outs often tend to be fast paced, as the client’s revenue is directly tied to the ability to utilize the space. We’ll get you up and running as quickly as possible! Would you like more information about our commercial build out services? Please don’t hesitate to contact us today. We understand the specific challenges and project requirements related to commercial build outs and are experienced and skilled to work in a timely manner to the highest standards of craftsmanship. Our goal is to make your space the perfect atmosphere to foster growth through an attractive and comfortable work environment that is welcoming to both employees and visitors. Here at Ryans Home Improvement, we have extensive experience in full-service general contracting and project management of all types of commercial building projects. Whether you’re looking to remodel, tenant build out or to construct a full commercial building from start to finish, we promise the highest quality craftsmanship to get the job done cleanly and correctly. Pre construction: Pre construction services ensure that the owner’s interests and project requirements are at the forefront from the very beginning. This helps to sort out any possible challenges before they may arise and to provide the owner with a reliable cost estimate from start to finish. Construction management: With extensive experience and a large network of partners, we are able to handle all aspects of the construction process for you with an emphasis on quality and efficiency in both time and expenses. General contracting: Our contracting work is sourced directly from in-house. This includes services such as cement work and masonry services, carpentry, structural building, flooring, tiling, and all other skills and specialties required to finish your project. Design and build: Condensing the project to one responsibly party reduces overlap time between designers and builders as well as ensures a smooth line of communication throughout the entire duration of the project. Quality management: Supervision and regular inspections are taken by the project manager to ensure that the highest standards of craftsmanship are upheld throughout the project. Have you got an idea for a new full commercial building? Let us know today! Our extensive experience with commercial projects – both large and small – brings the required knowledge and skills to the table to ensure your end result is exactly what you’ve envisioned. Please don’t hesitate to contact us today for more information regarding your full commercial building project. Constructing a commercial building is just the first step – regular maintenance and repairs is the key to keeping it in top shape for years to come. This not only helps with the smooth operation for tenants, but also will help to keep the value of the space should you decide to sell in the future. We provide commercial building maintenance services for all types of structures including: government buildings, retail and shopping centers, school and educational facilities, hospitality such as restaurants or hotels, medical facilities, industrial centers, multi-tenant buildings and more. Cleaning: Keeping your commercial space clean and tidy is an important aspect in maintaining a healthy, safe and pleasant environment for employees and visitors. We can help through all aspects of this task such as cleaning surfaces including floors, doors and windows, trash removal, common room cleanup, carpet shampooing and much more. Repairs: Don’t let a long list of repairs stack up. Our professional experts can make sure your structure is running at full capacity 100% of the time. Regular maintenance: Checking in to make sure everything is running smoothly is the best way to reduce the need for repairs in the first place. We can help with regular inspection and tune-ups through all aspects of your commercial structure, both interior and exterior. Power washing: Give your building a “new look” with our professional power washing services. We use a professional high-pressure power wash to make the structure look as shiny and new as its first day. Painting: A fresh coat of paint is sometimes all a room needs to look fresh and new! Whether you need a few coats on the interior or exterior, we can get the job done in a timely and efficient manner. Clean outs: Do you have tons of extra equipment taking up space? Is your storage space full of old electronics not in use anymore? We can remove all of this and dispose of it in an environmentally friendly manner for a clutter-free space optimal for productivity. Do you have a commercial building in need of maintenance or repair? Please don’t hesitate to contact us today for more information regarding our full list of services.